Willowood DRIFT-CHECK stabilizes herbicide and other pesticide sprays by increasing droplet size to provide areduction in the physical movement (drift) of spray particles. 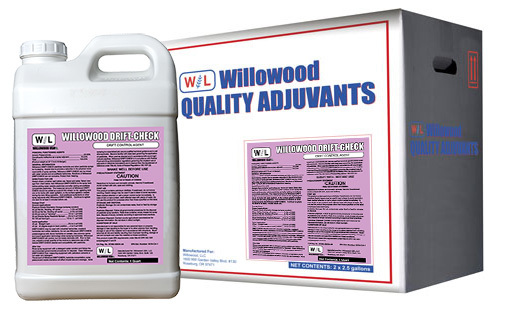 Willowood DRIFT-CHECK can be mixed with water soluble and emulsifiable herbicides. Solutions of Willowood DRIFT-CHECK are not corrosive. Protect from freezing.